Please click on the region below to find out more about our network of Local Hubs (there may be more than one Hub per area) and follow the links to apply to your chosen Local Hub. The deadline for application submission is Monday 22nd April, 12 noon. Late applications will not be accepted. Abertay University, in Dundee, Scotland, is the home of the oldest computer games education programme in Europe, offering degrees continuously since 1997. Currently, Abertay has programmes across the spectrum of game design, production, development, and art (including audio), with five undergraduate and two post-graduate programmes. Students work in collaborative settings across the disciplines of game development, with generous mentorship and guidance from Abertay’s partners in the game sector. Teesside Launchpad provides space, support and advice for Teesside University graduates, students and staff looking to start new, high impact ventures. Free access to a team of experienced mentors with expertise in everything from Accountancy to SEO. Free meeting and training rooms. Free access to to our co-working, ideas and maker spaces. A collaborative co-working space in the Ormeau Baths Innovation Centre for game development teams from across Northern Ireland. Offering a ground-breaking incubation programme for UK and Ireland with industry mentorship, access to funding and links to local Universities. The Pixel Mill will also serve a larger role as a gaming community meeting place and a platform for local gaming initiatives. The Pixel Mill is funded by Northern Ireland Screen with support from the Department for the Economy. The South Wales Local Hub is based at our Cardiff Campus in the Faculty of Creative Industries, which houses all of USW’s creative courses. Being based in the centre of Wales’ capital city is a perfect location for connecting with a great range of creative organisations and activities.Our courses are designed to challenge and engage students with creative and practical skills that will enable them to develop new ideas and operate professionally – our hub gives full access to our facilities. The games courses at USW have a long standing pedigree, with notable alumni Mike Bithell, Cat Woolley, Dan Da Rocha, Alice Rendall & Henry Hoffman. Being part of Tranzfuser from start has been fantastic, with public vote winners in 2017 & 2018 as well as overall winners in 2017. Our hub was also nominated for a Best Hub Award at the UKGF Awards in 2018. Established in 1839, the University of Chester is one of the oldest higher education institutions in the country, and the Department of Computer Science is an innovative, forward-thinking department with a strong rate of student satisfaction and employability. Our Games Development programme is based at the Thornton Science Park, home to an extensive range of purpose-built facilities, where students work alongside commercial ventures. Our goal is to produce employment-ready graduates with the skills, knowledge and experience required to successfully enter a career in creating videogames, trained in the programming, design, artistic and professional skills used across the industry. Manchester Metropolitan University’s School of Computing, Mathematics and Digital Technology is a vibrant community of staff and students. We are a large School, but pride ourselves on working with students and external collaborators on a personal level. We are committed to delivering high-quality teaching, research and knowledge exchange. We have an attractive portfolio of undergraduate study and our courses are developed with input from employers. The School houses the University’s BSc (Hons) Computer Games Technology course, designed in association with game developers from across the industry. Tranzfuser teams based at Manchester Met can take advantage of the excellent facilities offered to our students, including our high-specification PC laboratories, our usability lab (designed to capture and analyse human behaviour on computers, smart phones, tablets and video game consoles), and our games and animation academic teams, comprised of a diverse range of specialists, including industry veterans. All Futureworks courses are delivered by experienced professionals, and our excellent links with industry employers mean students benefit from exciting guest lectures and fantastic opportunities to gain experience on real-world projects. We offer a variety of courses, ranging from short, intensive workshops to diplomas and undergraduate degrees. The Games Hub is Shark Infested Custard’s unique, multi award-winning (and free!) 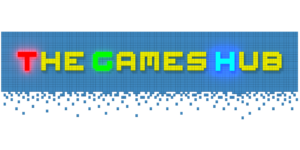 game development programme based in Colchester, Essex. Our programme is open to all aspiring games and app developers – from students building their first games, to professionals with years of industry experience who want to try their hand at developing a game independently. We provide office space and hardware along with a wide range of expert mentorship and access to professional contacts and information. Alemba is a software development company based in Send, Woking. Alemba Headquarters is situated a stone’s throw from the city of Guildford, home to well-known gaming studios such as Hello Games, EA Games and Media Molecule. Here we offer a creative space to help nurture and support the new generation of games developers in the region. Our University was founded on a bold vision of change. Unencumbered by tradition, we have created a University for the modern world, one that is proud to be different and challenge the status quo. While others stand still, we embrace change. As a student, we support you to embrace change too. Tranzfuser teams will be offered support and have access to mentors from the games and business community. Based at the Luton campus the School of Computer Science and Technology (CST) delivers a wide range of Creative Technologies subjects including: BSc Games Development and BSc Computer Animation and Visual Effects. We have a wide range of facilities including a dedicated games lab, virtual reality and motion capture equipment. Experienced participants of Global Game Jam, last year launched our own Meet up events for students, staff, alumni and visitors from the local area to meet and network. Grŵp Llandrillo Menai is the largest FE college in Wales and one of the largest in the country. Nested in the heart of North Wales with strong links with the local community and surrounding area and a unique partnership with Bangor University, Grŵp Llandrillo is looking to support and grow local talent and nurture the digital scene in North Wales. With a proven track record of student employment with local companies and the likes of Rockstar and TT Games. Grŵp Llandrillo is working on a unique project to empower students and their creations. Wrexham Glyndŵr University is home to one of the UK’s top rated games courses based on student satisfaction (National Student Survey). We have an excellent track record for graduate employment with many of our students going on to work at the UKs most recognisable game studios such as Travellers’ Tales and Rebellion. Our unique Business Accelerator empowers students to form start-up games studios supported by our specialist incubation centre. We work closely with organisations such as Games Wales, BAFTA Cymru and the British Computing Society to ensure that our students always have access to cutting edge industry training and knowledge. The University of Bradford is a research-intensive, world-leading technology university, ranked in the top 50 in the UK for the quality of its research, with three quarters being classed as either world-leading or internationally excellent. The University holds the Queen’s Anniversary Prize for its work enabling people to live well with dementia. 92 per cent of graduates went on to employment or further study within six months and the University is top in the UK for undergraduate nursing and midwifery placement satisfaction. Bradford is one of the highest risers in the Guardian University Rankings, at 52, with six subjects in the UK top 20. The University is the 8th greenest University in world. The Duke of York Young Entrepreneur Centre (DOYYEC) is the home of the Tranzfuser Hub at the University of Huddersfield, with hands-on support coordinated and delivered by the University’s Enterprise Team. The Tranzfuser Teams also have access to state-of-the-art equipment and industry standard software provided by The School of Computing and Engineering. The University of Huddersfield became the Times Higher Education University of the Year in 2013. Brunel University London is a world-class university based in Uxbridge, West London. It boasts a number of incredibly successful and internationally regarded undergraduate and postgraduate games courses and is well used to nurturing breakthrough game talent. The games faculty and various industry contacts will be available to offer constant support and mentorship along with a great deal of experience and enthusiasm to share. As a founding member, Brunel University London has been a hub since 2016, hosting teams that have been successfully selected each year. Games are transforming how we experience stories and are driving the development of new technologies. The Games Academy at Falmouth was founded to help you become a part of this exciting journey into the future of digital games. Within our studio-based environment, we actively ensure that you develop the skills and experience you need to succeed by involving you in the development of games, game art and apps. Members of our staff have worked at Blizzard Entertainment, EA Games, ZeniMax/Bethesda, Riot Games, Antimatter Games, Supermassive Games and Square-Enix, while others are world-class researchers and scholars of games. Staffordshire University is a world renowned centre for advanced game art, design and production studies. Staffordshire’s Stoke-on-Trent campus is built around numerous dedicated game labs capable of hosting hundreds of games students. It is equipped with all the cutting edge game development and commercialisation labs, tools, hardware and software necessary to make games on any platform. It is a hub for multiple media, broadcast, streaming and applied games research development facilities such as The Epic Games Centre, The V.A.X. Reality Lab and CenterStage, one of the U.K’s largest motion capture studios.  The Digital Creativity Labs (DC Labs) provides an access point for organisations wanting to engage with cutting-edge research in digital creativity technologies, and utilise the skills and initiative of our academics, researchers and students. Focusing on digital games, interactive media we help these industries to access technology such as AI and data analytics for their products, work with museums and educational institutions to design and develop evidence-based approaches to games and virtual reality. Led by the University of York, along with sister project the Intelligent Games and Games Intelligence (IGGI) Centre for Doctoral Training, we are connected with over 100 partners, all keen to work together to realize the huge potential for economic, social and cultural impact from games. Glasgow Caledonian University (GCU) is a modern University situated in heart of Glasgow City Centre. The University offers three full time Game Programmes including Computer Games (Art & Animation), Computer Games (Design) and Computer Games (Software Development). Graduates from these programmes have went onto employment in companies such as Rockstar North, Guerrilla Games, Crytek, CCP, Sega, Electronic Arts and many others. GCU has always been an active member in the games community and as such have been a hosted Global Game Jam site since it’s inception, with the site grown from 35 attendees in 2009 to over 160 attendees in 2019. 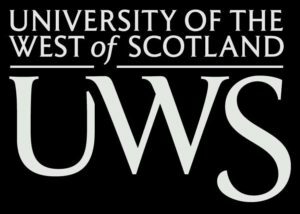 The University of the West of Scotland offers two well-established games courses within our Creative Computing institute, and holds PlayStation First status. Computer Games Technology is accredited by both BCS and Creative Skillset, and teaches students the essentials of AAA games development, including C++, graphics, physics, algorithms, and teamwork. Computer Games Development (CGD) focuses on web, mobile and casual gaming, with emphasis on the use of graphical tools for games design, and scripting. Our graduates are employed in companies such as Sony, Rockstar North, Electronic Arts, Codeplay, Codemasters and Chunk Digital. Can’t find a Local Hub near to you? You can nominate a Local Hub for the Tranzfuser 2019 competition – you just need to ensure that the nominated Hub has confirmed their willingness to take part.